> All Blog News>Types of Lenses! It has come to our attention that we need to make our customers aware of the "Types of Lenses" that are available in the Optical Industry! People (Including some Professionals) like to use different names and sometimes incorrect names for lenses, whether this is to confuse you or is a misunderstanding we are not sure? For either reason, we want to give you a lesson on the correct terminology and purpose behind each "Type of Lenses!" So you can make a confident decision about what you are doing when placing an order with us! Please Stay tuned as we will be doing the same again next week! - If you have any questions, please feel free to contact us either via phone or email! Thank you! These lenses literally have "No" prescription in them! They can be used to replace existing Sun-glass lenses or they can be fitted to a frame that you like for a fashion accessory or to complete a costume! The choice is yours! Made of Optical Industry Standard cr39! $40.00 per pair! These prescription lenses are designed to help you if you have trouble Reading or looking in the Distance or seeing your computer! You will need Intermediate lenses to help with this issue! These lenses have a Single prescription in them! - Your prescription will detail everything we need to know to make what ever you require! Made of Optical Industry Standard cr39 material! $50.00 per pair! These prescription lenses are designed to help you if you have trouble Reading and seeing in the Distance! They have the "Visble" segment in them! These lenses cater for both prescriptions (Reading and Distance fields of vision) in the one lens! Made of Optical Industry Standard cr39 material! $90.00 per pair! These prescription lenses are also known as Progressive lenses and they have been referred to as "Transition or Transitional" Lenses! They are the incorrect terminology for these lenses! They are known as Progressive or Multi-Focal Lenses! Nothing else! There are three different types of Mult-Focal/Progressive Lenses! They are - Standard Multi-Focals, Free-Form Multi-Focals which is used as the Standard Lenses these days and Double-Sided Free-Form Multi-Focals! These lenses are designed to help if you have a prescription for Reading, Distance and Intermediate fields of vision! These lenses cater for all three prescriptions (Reading, Distance and Intermediate fields of vision) in the one lens! There is no visible segment/line on these lenses! Made of Optical Industry Standard cr39 material! They start for $140.00 per pair! * Free-Form Multi-Focal lenses have a wider Reading field of vision compared to the Standard Multi-Focal Lens and there is less peripheral distortion also! 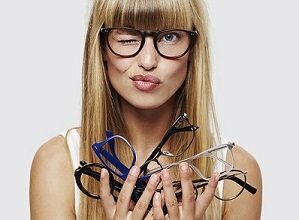 * Double-Sided Free-Form Multi-Focal lenses are the latest technology lenses! Specially worked on front and back surfaces, to optomize Reading and Intermediate fields of vision. There is virtually no distortion in the distance peripheral vision! These prescription lenses are designed for Intermediate and Reading purposes! They work like a Multi-focal lens but do not give clear vision in the Distance area. The main advantage is, larger Intermediate and Reading fields of vision. With limited clarity when looking in the Distance! There is no visible segment/line on these lenses! Made of Optical Industry Standard cr39 material! $190.00 per pair! - If you have any questions, please feel free to contact us either via phone or email! Thank you!